This week we are going to discuss Ethics on my blog. Now many people believe that the only witch ethic out there is the Rede which states “An it harm none do what you will”. This is not true. There are many paths and traditions which all have their own unique ethical content and practices. The rede of Wicca is only one out of many ethical paths and choices out there. I do not follow the Wiccan Rede. The rede to me is great advice. I use the rede to basically look at my actions and my beliefs. The rede isn’t a law or guidance. The word rede means advice. Its a set of words meant to advise you of your actions. The rede then doesn’t prohibit harm at all. The rede to me then is a guide to actions. The rede does permit actions that wont harm others. It doesn’t prohibit those actions. It says if it doesn’t harm any one go ahead an do it. It doesn’t say never harm anyone. My ethics are a bit different. I use the rede to think about my actions before I take them. This is my ethical practice. If I can accept the consequences of my actions and if I can live with any effects they have than I will perform the act. If I can’t accept or am not comfortable with even one of the possible consequences of my actions I will not follow that path of action. I also look at the consequences of inaction. Sometimes not acting can be worse than performing an action. For me I look at magical works as another tool in my pocket for dealing with challenges and situations that arise in day to day life. If I can use a spell to aid a friend or family manner in some fashion I am going to. If some one threatens my family or loved ones I will use magic for a tool if I feel it is worth it. I believe in using any and all tools I have to making my goals come true. Now I mentioned using magic as a way to protect and help my family in defensive actions. This is true. I believe in the right to strike back and or the right to defend myself and my family. If someone is gossiping about me or my family I may use a spell to get them to stop the gossip. However I will never strike first. I will only use magic to attack some one if they have done something to me first. For me its important to protect and care for my loved ones. For me that is part of my honor. Honor is a high ethical consideration for me. If some one has disrespected my family and friends then they have earned what comes their way. I would prefer to use means like shields, mirror spells, and bindings before moving to a curse or a hex. Each situation is different so each working would be different. I like to think that I am an ethical person. I live on the whole mostly by society rules. I care for myself and I work hard to keep my home clean. I treat other people with respect unless otherwise shown. I am nice to people and I help those I can in need. These are all things I do to try and live an honorable and good life. Honor and respect are more important to me than ethics actually. That may be because Germanic pagans actually have a series of virtues that they use as their ethical code of conduct. This ethical code of conduct has inspired me in my life. Following those virtues is one of the ways Germanic paganism has influenced my life and my path. Now that I have discussed the rede and how I don’t follow it and how I am honorable I am going to actually discuss the nine noble virtues. These virtues as I have mentioned form the basis of my ethical practices and considerations. They are for me sometimes difficult to follow, but they are important to me and to my Gods. So I do my best to follow them. For me in my life courage is facing emotionally difficult situations and dealing with them as they arise. This also means for me working through some difficult issues in my past to see past the pain and to face all emotions related to some of those situations. Courage is not being fearless for me. Courage is facing your fears even when you are scared and coming through the situation on the other side. Truth is basically self-evident. To me it simply means that you should always tell the truth and that means being true to yourself as well. In many ways it is about making sure your actions are honorable. You should not be making excuses for doing acts that you “know” are wrong. Truth here is also in stating what you remember about situations when asked and not exaggerating them. Its sticking to facts and not perspectives. As a witch I need to be true to myself. In being true to myself I need to accept all aspects of myself and my personality. Some of these aspects I don’t like. I use courage to face them and work with them. Being true to myself is also knowing where my heart really lies. Its also in knowing what my real desires are and what my true dreams and goals in this life are. In my life I am honorable by keeping my word. I am honorable by respecting the wishes of other people. I am also honorable in that I keep work to protect my loved ones. I live honorably by being respectful of others. I may not always agree with someone but if I can respect their views I can honor them by respectfully disagreeing with them. I am loyal to my friends. When I say I am loyal to my friends I mean I am to the best of my ability there for them when they need me. I am loyal to my friends by not sharing information they give me on subjects. I also show them loyalty by helping them. In some cases it may mean supporting them in situations you don’t want to deal with, but you help them out because they are friends and or family and that is what you do for friends and family. Discipline is one thing I think that many people in today’s societies are lacking. Discipline does not have to mean making people behave a specific way through punishment. Instead in terms of the Nine Nobel Virtues it means working hard to change a behavior, and shaping a behavior. Discipline here is also about steady practice and continuing behaviors. In my life I am actually actively working on cultivating discipline. This is one area I have lacked. When I have had difficulties on something I have taken a break rather than work through it. Discipline for me also means keeping a steady schedule with practices and keeping up steady routines in spiritual work. If I start to lag or forget one day discipline is starting back up again the next day. There are many ways I work with and include Hospitality in my life. When I go over to any of my families houses for the Holidays I always bring something of my own. This is a contribution to the event allowing my host or hostess to not have to do all the work. I also pick up after myself when I am over there. I offer any guests food and drink when they enter my home. Its also about offering to get something for my fiance’ if I am out getting a drink or something. Industriousness for me is working on my blogs. Its working on my small business. Industriousness is also about managing my time. By managing my time when I do housework I am able to make sure I can get housework done as well as any business work or other work I wanted to get done that day. Industriousness is about having a productive day. Though occasionally having a day to just relax is industrious as we can not always work or always play. A balance is needed. I like to consider myself to be a very self reliant person. I do what I can on my own. I don’t drive so I work hard to try and arrange rides with buses, taxis, and family or friends as needed. I work and buy most of my own fun items like game systems or even books. I don’t like asking for things. I do my best to do what I can on my own with what I have for a living situation and transportation situation. One way I work on self reliance is I pay all of my own bills. I also put money towards the house but I pay the bills in my name with my own money. This for me goes hand in hand with discipline. I have had difficulties with math in the past. I used perseverance and was able to learn the math and pass the classes. I just didn’t give up. There are many things that are difficult for me to do. Learning them and working on them for me takes a lot of patience and perseverance. By working on this skill I can become better at dealing with frustrations and I can ultimately end up completing goals and accomplish my dreams. Now you see that there are ways of being a witch and living and ethical life that is not limited to the rede. One can work offensive or baneful magic and have it be an ethical and moral choice. It all depends on what your virtues and your values are. In the end so long as I am respectful of others, treat others as I want to be treated, and do my best to embody what I hold as a virtue I feel I live not only ethical but also honorable. 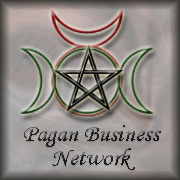 Posted on March 12, 2014, in Ethics, Ethics and Morals, Germanic Paganism, Pagan Blog Project and tagged ethics, Germanic Paganism, Nine noble Virtues, Pagan Blog Project, wiccan rede. Bookmark the permalink. 1 Comment. Good post! I really enjoyed it. Skal!